If you’re just looking to get into home brewing, or you’ve been looking to upgrade from an inexpensive coffee grinder, then you probably want to take a safe first step into more high-quality home coffee making. 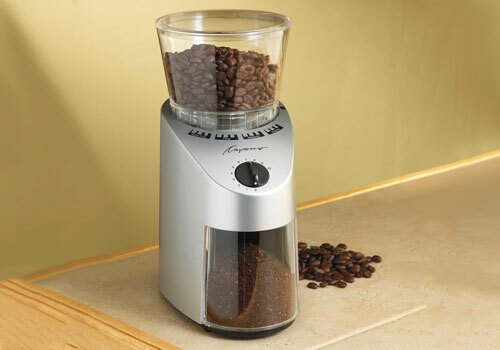 The price range of coffee making appliances goes as high as you want to spend, but it’s still possible to get a good quality burr grinder at a reasonable price. 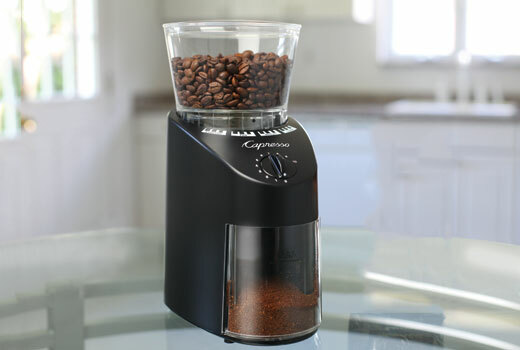 If that sounds like what you are looking for, then you’ll want to check out the Jura Capresso Coffee Grinder. 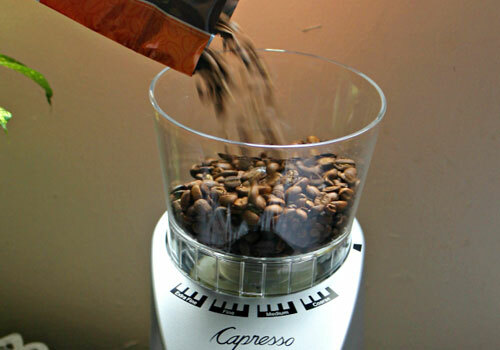 The Capresso Infinity 560 Grinder is a best-selling low budget coffee grinder. The machine is designed to provide high-quality grinds of all the grind types from the finest Turkish coffee, espresso, and right down to the coarse grinds used for a French press. Overall it’s a great grinder to get anyone started making better coffee without having to make a huge investment of time or money. 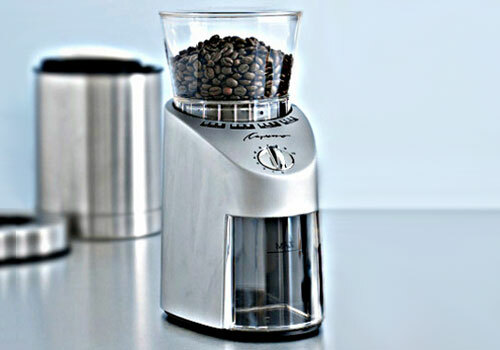 Jura Capresso 560 Infinity Burr Grinder is one of the best blade coffee grinder available in the market. 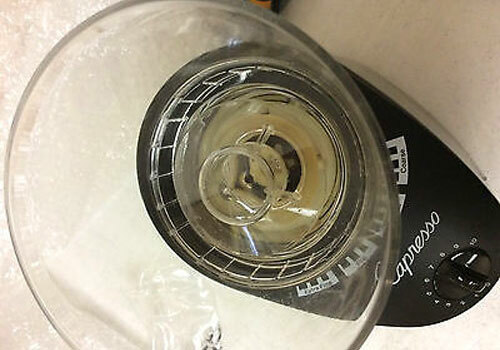 So in this Jura Capresso 560 review, let’s take a look at how this product stands up. The burrs are what make a burr grinder a step up from cheaper blade grinders, and are one of the most important parts of the machine and with the Jura Infinity 560 Coffee Grinder, Capresso has made sure not to cut costs on this area. They’ve used commercial-grade, stainless steel burrs that are precision made to within only 0.1mm of tolerance. That accuracy in the machining allows the burrs to mesh together in a way that ensures consistency in the grinds. Additionally, the high-quality material makes the burrs very durable, and stainless steel won’t react to the acidity of the coffee beans. The range of different grinds available is what allows a coffee grinder to cater to whatever kind of coffee a person might like. The Jura Capresso Infinity Burr Grinder has 16 main settings that cover everything from coarse French press grinds, past the finer espresso grinds, right up to the ultrafine powder needed for Turkish coffee, and it produces each grind size with reliable consistency. The range of the machine is significantly extended with additional options to further optimize each grind to individual taste. There are four levels for each setting extra fine, fine, regular, and coarse, ensuring the right option is there for everyone to dial in the perfect grind size for their coffee brewing machine. When designing a coffee grinder one decision of critical importance is the pairing of burrs with the gears and motor. 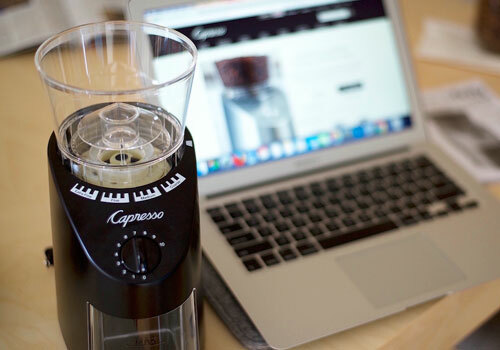 Capresso has made a smart choice and gone with a 100-watt, low-RPM option with Jura Coffee Grinder. On one hand, it is surely to keep the price low but it has some fortunate side effects. First is that this is a very quiet machine to operate, some users report it only gets up to 85 db meaning it’s possible to have a conversation in the room while it’s on. The more important benefit is that a low speed motor produces less heat that would otherwise burn off the oils in the coffee beans that are responsible for the rich flavor and aroma. 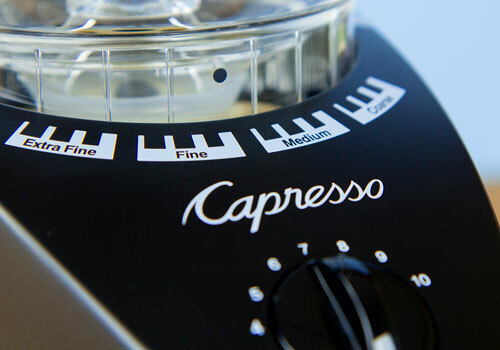 No coffee grinder is intended to be the centerpiece of any kitchen, but Capresso has still managed to make an attractive looking machine with a range of finishes that will fit in anywhere. They’ve stuck with a simple, unobtrusive design that has a small footprint on the countertop. That simplicity extends to the controls keeping options to a minimum while still producing consistent results. The ease of use comes in really handy if it’s first thing in the morning, or when you’re in a hurry. Just set the grind type, time, and it’s good to go. If you want to keep your beans fresher for longer, then you’ll need to make sure to only grind what you need. 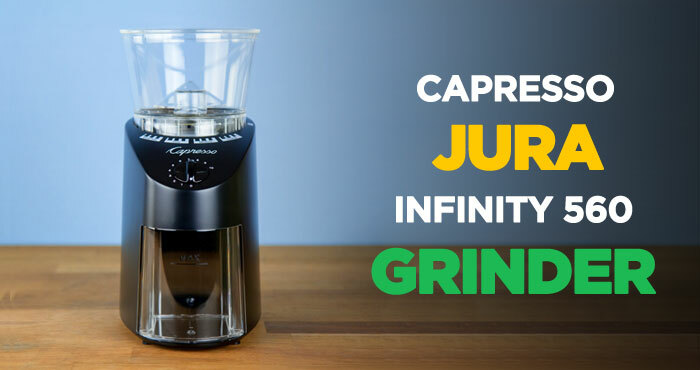 Jura Capresso Infinity 560 Grinder has a simple timed dosing feature that means it’s easy to grind the perfect amount each time. The timer runs between 5 and 60 seconds, and is a big step up over models where the grind button has to be held down. Once you learn the optimal time for your favorite coffee types, simply dial in the number and the machine will reliably deliver the right amount at the right grind size. It is always good to face the facts for a better understanding of what you’re dealing with. For that reason, here is a list summarizing all which is good and not so good about this little fellow. Anyone just getting into home brewing specialty coffee is going to be looking for a simple entry point that meets all their immediate coffee grinding needs, this machine does that well, and does it at a great price. 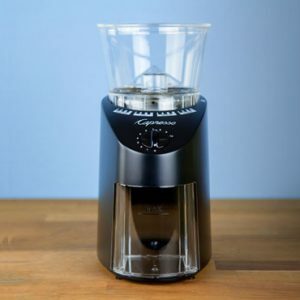 Jura Capresso Coffee Grinder represents a great introduction to what good quality burr grinders can do, or is a significant step up from a cheaper blade grinder. To do this while keeping the price low, this Jura Capresso Infinity 560 Grinder has been designed with a focus on just the essentials. It combines commercial grade stainless steel burrs paired with a 100-watt motor that gives consistent grinds across the range of grind types it offers. With its wide range of grind setting the Jura Infinity does an excellent job at producing consistent grinds for all the common coffee types like drip brew, percolators, and pour over methods. The commercial-grade, stainless steel burrs will last a long time, and combined with the low RPM motor, will faithfully preserve the flavor of the beans. At the same time, that motor is not going to wake up your family every time you start grinding. Overall though, the one reason to pick Jura Capresso Grinder is that it works well while keeping things simple. 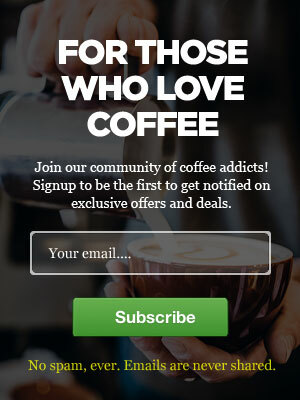 It’s not going to overwhelm you with a huge array of customizable options, instead just set the grind and it can be trusted to produce the coffee powder you’re looking for. That simplicity also means that the machine is easy to clean and maintain, and with good quality internals, the Jura Capresso 560 Infinity Burr Grinder will keep your life hassle free and full of good coffee for a good long time. If you know your coffee really well, then what’s going to attract you to Jura Capresso Infinity Burr Grinder is simply the price. Looking at it on balance, this machine uses some very good quality internal components that do a very good job with all the mid-range grinds. For drip coffee, percolators, or pour over methods, once you figure out the best setting on the machine it pretty much always delivers. On the other ends of the spectrum, however, it’s not quite the same story. On the extreme ends of coarseness for a French Press, or the very fine to ultra-fine needed for espresso or Turkish coffee, Jura Capresso Infinity Coffee Grinder tends to come up short. The finer settings leave some grit in the powder, and the coarsest settings have some finer powder mixed in. This comes down to the motor. While they’ve made a good choice pairing the burrs and motor in a way that means the machine won’t damage the flavor of the beans through excessive heat, the slower speeds it produces means some grind consistency is lost during the spin up time of the burrs. The Jura Capresso Burr Grinder is put together in a way that makes it easy to use, and that lets it fit in easily to any kitchen. 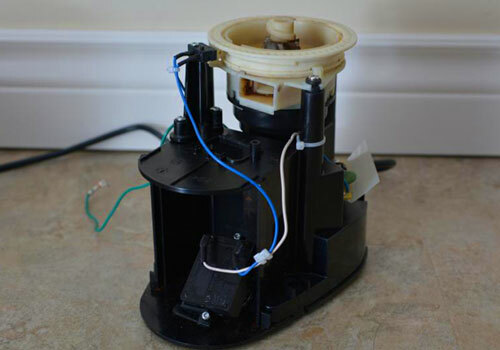 Without all of the ‘smart‘ controls of some other grinders, it is dead easy to use which makes it great for that first cup of coffee in the morning before your brain is fully working. It’s small countertop footprint, and really quiet operation also lets it blend into the background of any kitchen. The drawback of this build though is that it requires daily cleaning. Jura Capresso Burr Grinder tends to leave a lot of grinds in the chute and around the burrs suggesting too much coffee is being wasted, and without cleaning those grounds are going to go stale and throw off the flavor of future cups of coffee. The bottom line is that for its price the Jura Capresso Grinder is unmatched for quality and convenience, but is not the best choice for espresso lovers. Capresso Jura Infinity 560 Conical Burr Coffee Grinder was reviewed by Tim Forman on December 20, 2018.